Is an anti-bullying campaign that puts a name and a face to autism. 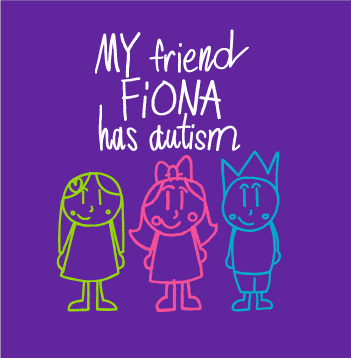 Fiona wants to share wth others that she has autism. She has learned that by sharing with people, they learn to understand and accept her. All funds donated through this campaign will be donated to Any Baby Can. Any Baby Can is a non-profit that provides training and support to parents that have kids with disabilities. With a donation of $15 or more, you will recieve a t-shirt designed by Fiona inspired from an illustration in her book, "You Are Going To Love Me!" Help us raise $5,000 for Any Baby Can. ® InfoPouch™ 2015. All rights reserved. Use of this website and any information contained therein is governed by the InfoPouch™ User Agreement.